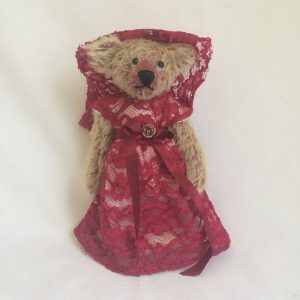 Here is lovely little Isabel. 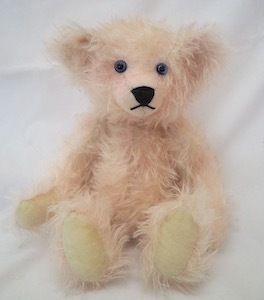 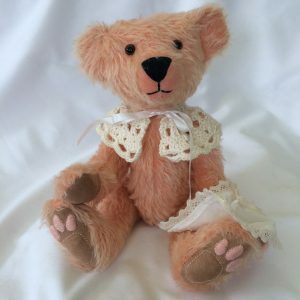 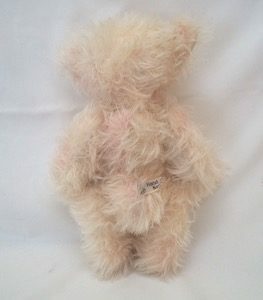 She is made from a beautifully hand-dyed 15mm mohair in a soft pink colour on a Schulte cream mohair, and she is just 10 1/2″ (27cm) tall. 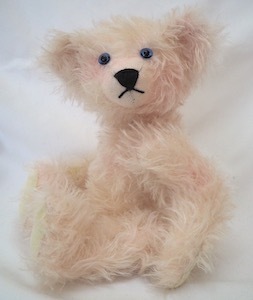 She is entirely hand-sewn in this fine mohair, which is so soft and! 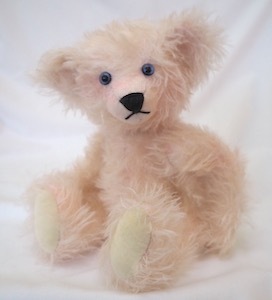 Her pads and paws are made from a soft cream cashmere. 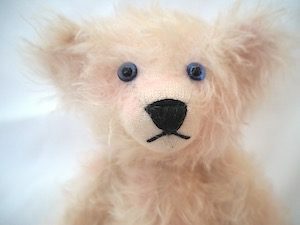 She is traditionally made with fully jointed limbs and head and has beautiful bright blue English glass eyes and is nicely stuffed for you to cuddle. 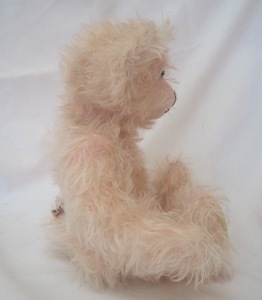 She is a super bear in a very traditional size with rounded bum and ‘hook’ on the back.